Issued in 1853, the Cape of Good Hope stamp is the first postage stamp in the Cape of Good Hope, and even in the whole of Africa. It firstly came out in the forms of 1- and 4-pennies, and the stamp with two other face values was issued two years later. The stamp sports a triangular shape, so that even the illiterate could tell that it was not a stamp from another country, although many other countries have issued triangular stamps since then. Its design is a female figure sitting on top of an anchor, which is resting on top of a rock, symbolizing the Cape. The stamp was designed by Surveyor General Charles Bell and printed by Messrs. Perkins, Bacon & Co., a famous printer of books, bank notes and postage stamps. Very rare copies of the stamp have survived today. In the world-famous Stanley Gibbons Stamp Catalogue, the value of a single Cape of Good Hope stamp is about US$40,000. The Perot Provisional stamp, or the Perot Postmaster's Provisional of Bermuda, is the first printed stamp of Bermuda. William Bennet Perot, the postmaster of the town of Hamilton, always put a mailbox outside the post office for the convenience of users. The users could put their letters in the box together with their required postage (1 penny each). However, in most cases, the postage in the mailbox was not enough, and Perot had to deliver all the mails himself. James Bell Heyl, a friend of Perot, suggested he issued his own stamp. Heyl removed the dates from the postmark and stamped it on a piece of paper. Perot then wrote the words "1 penny" above the year on the stamp, and signed his name below. 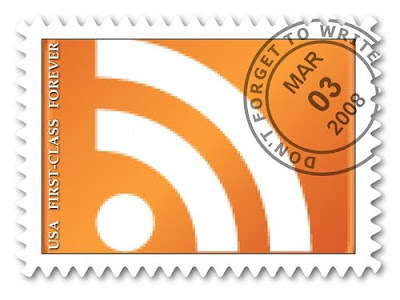 A round temporary postage stamp was born. Today, only 11 pieces of the stamp have been found. Most of them are now owned by European royalty, including Queen Elizabeth herself. As early as in 1981, a piece of Perot Provisional stamp had a marked price of US$115,000. The Red Revenue Small One Dollar Surcharge was a revenue stamp used as a postage stamp after being stamped with the small words of One Dollar. It was the first surcharged stamp among all the red revenue stamps surcharged for postal use during the Qing Dynasty (1636-1911). After two sheets of 50 pieces of the red revenue stamps were surcharged, the words One Dollar were considered too small, so the mould was to replace them for a bigger one. Now about 30-some pieces still exist, including one block of four and one horizontal pair. Most of them are unused ones. Only one used stamp, cancelled with the PaKua Cancellation, has been found, which is now exhibited in the China National Post and Postage Stamp Museum. In 2009, one such stamp issued in 1897 was auctioned for 2.59 million HK dollars (US$333,382) in Hong Kong. The Blue Military Stamp is a blue stamp for military use in China. In 1953, a set of three stamps, in orange, brownish red and blue, were designed and issued to the soldiers who were on active duty for free. Patterned with emblem of the People's Liberation Army (PLA), the stamp has a face value of 800 old yuan (1 US cent). However, shortly after the stamp was issued, there were reports that the confidential information was easier to be taken out of envelopes featuring such a stamp. As a result, all copies of the stamp had to be returned and destroyed, but a small number of them remained with the army. Among the existing copies, the blue ones are the rarest. In 2011, one Blue Military Stamp was auctioned off for 2.7 million yuan (US$428,654) in China. Nicknamed the Red Maiden in the Green Robe, the stamp is also known as a 2-cent Small Figure Surcharged on Red Revenue Stamps in Green. It is one of China's postage stamps issued during the Qing Dynasty (1644-1911). During the Qing Dynasty currency reforms, stamps with a face value in silver could not be used any more, and a short period of time would pass by before the new stamps could be issued. As a transitional measure, green ink was imprinted on the Red Revenue Stamp to it could be used as a temporary stamp. Evidence shows that there are nine such stamps in existence, seven of which are singles. The only vertical pair is now exhibited in the China National Post and Postage Stamp Museum. In December 2004, a piece of the stamp was auctioned off for 3.45 million HK dollars (US$444,477) in Hong Kong. The stamp that goes by the name of The Whole Country is Red, issued in 1968 during the Cultural Revolution, is a famous stamp with error printing. The stamp features a red map of China imprinted with the golden words "The Whole Country is Red", plus a picture of a worker, a farmer and a soldier holding the "Selected Works of Chairman Mao." The face value of the stamp is 8 fen (1 US cent). The stamp was only issued for less than half day. An editor of SinoMaps Press found that the map on the stamp was not accurate and reported it to the Ministry of Post and Telecommunications. As a result, all Chinese post offices had to stop selling the stamp and return all the copies. Only a small quantity of the stamp went to private collections. A large version of the stamp, two times bigger than the original one, was auctioned off for 3.68 million HK dollars (US$474,197) in Hong Kong in 2009, setting a new record for the price of a single stamp auctioned off in China. On the same occasion, 6 normal pieces of the stamp were auctioned off for a total of 2.93 million HK dollars (US$377,482). Canada's 12 Pence Black was issued in 1851 and features a portrait of the youthful Queen Victoria. It is one of the most famous stamps in the world. Altogether, 51,000 copies of the 12 Pence Black were printed, but due to its high denomination, only 1,450 copies were sold. The remaining unsold 49,550 copies of the stamp were taken off the market and destroyed in 1857. It is believed that about 100-150 pieces of this stamp exist today, but this is mere speculation. In 2011, a brand new copy of the 12 Pence Black was auctioned off for US$488,900 in New York, USA. The Olive-colored Queen Victoria's Head, printed in 1864, is the most expensive historical postage stamp of Hong Kong. The face value of the stamp was 96 Hong Kong cents (12 US cents) and it should have a brownish-grey tone. However, due to a printing error, 52 sheets of the stamp were printed in olive color. The watermark was wrongly styled, and the word "CC" was printed in the wrong place. Among all 40 pieces of the Olive-colored Queen Victoria's Head that can be found in the world nowadays, there is only one block of four such stamps existing. It has been collected by a number of famous collectors. In January 2012, it was auctioned off for 6.4 million HK dollars (US$824,648), setting a record in the history of Hong Kong stamp auctions. British Guiana 1 Cent Magenta, printed in black on magenta paper, is one of the most costly postal stamps in the world. In 1856, there was an insufficient supply of stamps in British Guiana. The postmaster could not wait for the delivery of stamps from England and therefore asked the local newspaper to print some 1- and 4-cent stamps. Because of the simplicity of these stamps, each stamp had to be initialed by a post office employee before use, to prevent forgery. The four corners of the rectangle stamps were cut to turn the shape of the stamps into that of an octagon. The only copy of the British Guiana 1c Magenta was discovered by Vernon Vaughan, a teenage Scottish schoolboy, while he was looking through his uncle's letters. In 1980, it was auctioned off in New York, USA, for US$850,000. Post Office Mauritius is an error postal stamp issued in Mauritius. In September 1847, Lady Gomm, Mauritius' governor's wife, invited friends and celebrities to a ball. For the convenience of sending out the invitations, the Mauritius Post Office issued a set of stamps designed by Joseph Barnard, following the pattern of British stamps. However, the words of "Post Office" instead of "Post Paid" were engraved on the copper plate of the stamp, which produced a big mistake. A total of 240 pieces of this stamp were sold before the error was noticed. There are only 26 known pieces of the Post Office Mauritius stamps that have survived to this day, including several 14 one-penny and 12 two-penny pieces. In 2011, a blue two-penny Post Office Mauritius was auctioned off for 1.05 million pounds (US$1.67 million) in the UK. The 24-cent Jenny stamp was the first stamp for air-delivery issued in 1918. The stamps were printed on sheets of 100, but each sheet had to be fed through the printing machine twice. Therefore, it was very easy to accidently flip the sheet on the second pass, and this is exactly what happened. One of these sheets was printed with the jenny plane upside down, and sold before the error was noticed. This was how the Inverted Jenny got created. Only 100 pieces of the Inverted Jenny can be found in the world nowadays. A block of 4 stamps was purchased in 2005, for US$3 million. The UK's 1840 issued Penny Black is the first stamp in the world. It was designed by Rowland Hill, who proposed the reform of the British postal system. He was called the Father of the Postage Stamp. Before the Penny Black was issued, post offices had to take payments for mail delivery in cash. People had to wait in line to deliver every piece of mail. Postage was charged by the number of letter papers and the amount of distance traveled. Following Rowland Hill's suggestion, a letter was wrapped in an extra piece of paper (envelope) and an adhesive stamp was attached to indicate the prepayment of postage. The stamp was the Penny Black. The picture in the stamp shows Queen Victoria, based on a sketch of her by William Wyon when she visited London in 1837. The Penny Black Stamp was only used for one year because the red cancellation mark was hard to spot on its black background. As a result of this, nine months later, the stamp was reprinted as a red stamp so that the black cancellation marks were easier to see and harder to remove. The Penny Black was scheduled to be issued on May 6. However, in some cities, a number of the copies were issued on May 2. Only two pieces of the early issue can be found now and these are regarded as real treasures. A few years ago, a rich businessman bought a copy from a US auction house at the price of US$5 million. The Treskilling Yellow is a Swedish postage stamp, which holds the world's record auction sales price for a single postage stamp. The normal three-skilling stamp, printed in Sweden, should be green, whereas the eight-skilling stamp was printed in yellow. However, due to an unknown error in 1855, (most likely because the three-skilling plate was accidently replaced by an eight-skilling one), the three-skilling stamp was printed in yellow, creating the precious Treskilling Yellow stamp. The only known copy in existence of the Treskilling Yellow, was discovered by a schoolboy named Georg Wilhelm Baeckman in 1886, while going through his grandparents' attic. The stamp made headlines in 1984 when it was sold for 977,500 Swiss francs (US$1.07 million). At a 1990 sale, it made over US$1 million, and then in 1996 it sold again for 2.875 million Swiss francs. Each successive sale meant a world record worth for a postage stamp. Being one of the most expensive objects in the world, the stamp was auctioned off once again in Geneva, Switzerland, in May 2010. The exact price and the identity of the buyer were not disclosed, but the auctioneer David Feldman released that "it is more expensive than any other single postage stamp in the world." Bird stamps from Czech Republic.